The world became aware of the plight of Africa’s gorillas mostly through the dedicated work of Diane Fossey in the Virunga mountains. This was once again brought to the fore in 1988, with a major motion picture starring Sigourney Weaver in the an American film directed by Michael Apted , entitled “Gorillas in The Mist”. An emotionally charged film which tells the true story of Diane Fossey’s work in trying to save the last of the Mountain Gorillas. Through enormous supportive campaigns by various NGOs and governments together with eco tourism development and on going anti poaching campaigns, the mountain gorillas has been saved, although in small numbers they have become an iconic symbol like the rhino, panda, for endangered wildlife across the globe. Plains of Africa are able to offer some exciting wildlife safaris to this region working together with our professional operational ground handlers providing you with some thrilling adventures. Gorilla Trekking has become one of Africa’s greatest wildlife encounters and a unique African adventure. Mountain gorillas (a subspecies known as Gorilla beringei beringei) can only be found in 3 countries in the world in East Africa. The wilderness of the Virunga highlands that lies within Le Parc National Des Volcans in Rwanda, Bwindi Impenetrable Forest National Park as well as Mahinga Gorilla National Park in Uganda, and the Virunga National Park found in the Democratic Republic of Congo. These parks are found approximately 48 km from each other, and within Uganda as well as Rwanda they are easily accessible. 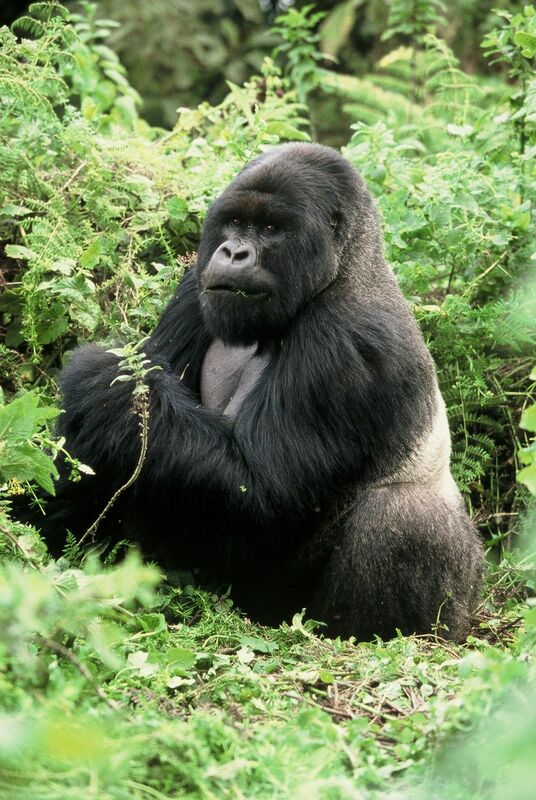 There are approximately 1004 Mountain Gorillas remaining in the world with an estimated 400 staying in Bwindi Impenetrable Forest within Uganda found in East Africa. Although tracking mountain gorillas can be conducted all year round in Uganda & Rwanda, due to the rainy seasons experienced by the national parks in which these gorillas live, preferred months to visit are from June to September as well as from December up to February. There is a lot of planning and preparation involved in gorilla trekking safari and pre-booked permits are essential. 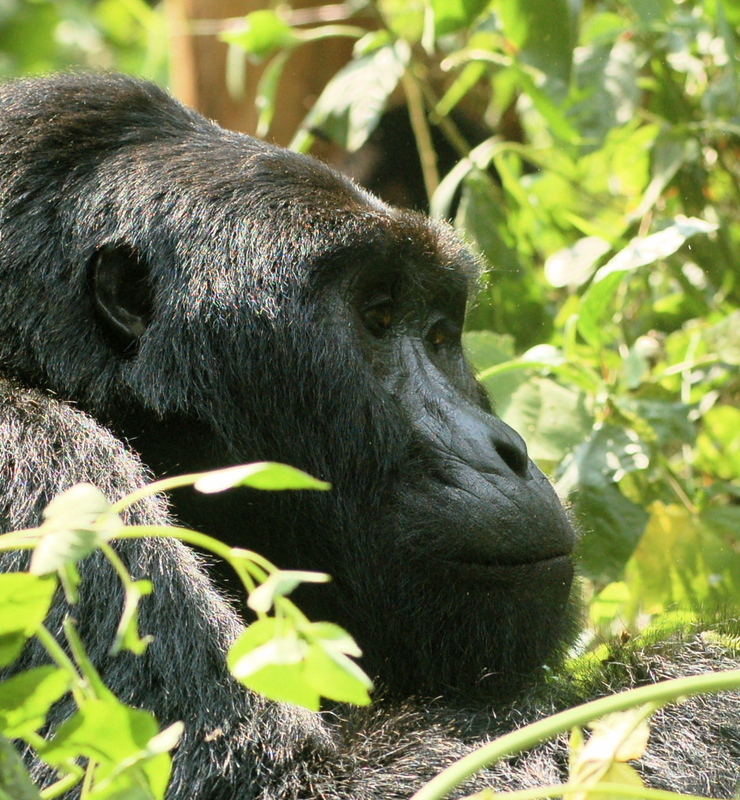 We also offer packages to the Central African Republic where Western lowland gorillas may be trekked.